Yesterday, I went to see a new movie called ”Camille Claudel 1915” directed by Bruno Dumont. However, this movie should not be confused with the one from 1988 starring Gérard Dépardieu and Isabelle Adjanie. In fact, it’s not even the same plot. This movie tells the life of Camille Claudel, sister of the famous poet Paul Claudel, after she appeared to be mentally ill in 1915. 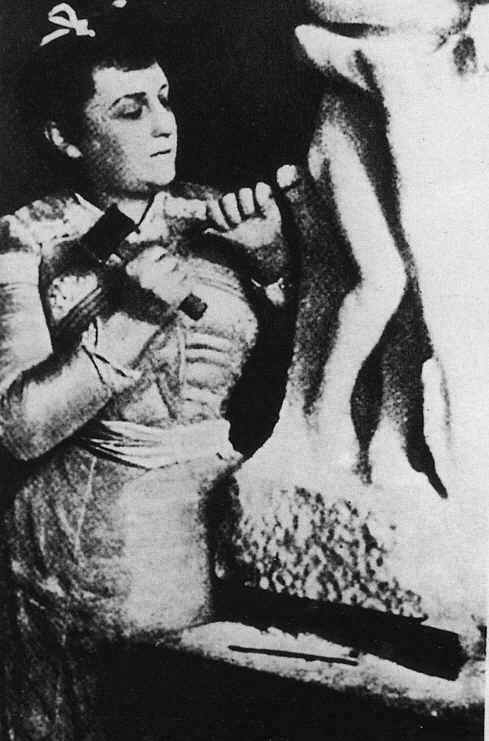 From 1905 on, Camille destroyed many of her statues, vanished for long periods of time, and displayed signs of paranoia and was later diagnosed with schizophrenia. She also accused Rodin of stealing her ideas and of leading a plot to kill her. On March 10, 1913, at the initiative of her brother, she was admitted to the psychiatric hospital of Ville-Évrard in Neuilly-sur-Marne. 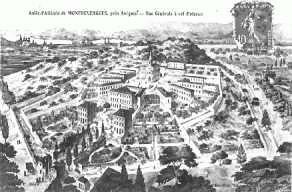 On September 7, 1914, Camille was transferred with a number of other women to the Montdevergues Asylum, at Montfavet, six kilometers away from Avignon. The admission form said that Camille voluntarily admitted herself to the asylum, although both a doctor and her brother signed the form. There are records that show that while she did have mental outbursts, she was clear-headed while working on her art. Doctors tried to convince the family that Camille could be released, but they still kept her there. For a while, the press accused her family of committing a sculptor of genius. Her mother forbade her to receive mail from anyone other than her brother. Now, the movie picks up at the point when Camille had already spent two years in this particular asylum. The movie is very powerful. It’s the kind of motion picture that kind of leaves you depressed afterwards. There are a few monologues but almost no dialogues. It shows how the only joy in Camille’s life remained the occasional visit of her brother Paul. Consequently, the plot revolves around Camille waiting for her brother Paul to visit her. Juliette Binoche plays the leading role. She prepared for her role by visiting sufferers of mental illnesses. Director Dumont located a therapist who specialized in art therapy and who allowed them to meet some of his patients. Some had a level of consciousness sufficient to give their approval. In other cases where patients suffered from severe forms of autism, the families gave the agreement. Juliette spent a lot of time with them to create links. The director decided to incorporate actual nurses in the film, because of the requirement of medical presence at the set. So the film also can also be seen as a documentary about the reality of mental illnesses. The movie reveals that madness is both terribly sad but also funny to an extent, tragic and comic. The movie reveals gradually Camille’s confined condition and as a viewer, I felt that you really feel the harsh conditions that she experienced in the asylum. 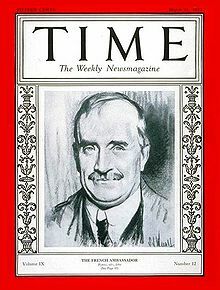 Jean-Luc Vincent : As Paul Claudel he has not an easy role. This entry was posted in Art, Film, Uncategorized and tagged 1915, Auguste Rodin, Bruno Dumont, Camille Claudel, french, Gérard Dépardieu, Isabelle Adjanie, Jean-Luc Vincent, Juliette Binoche, Motion Picture, Movie, Paul Claudel. Bookmark the permalink.